The overwhelming majority of smartphone screens are anywhere from 5″ to 6″. In engineering parlance this is “pretty friggin’ huge.” If you have smaller hands, the best phone for you might still be too big. The iRing can help you get a grip on your unwieldy device. 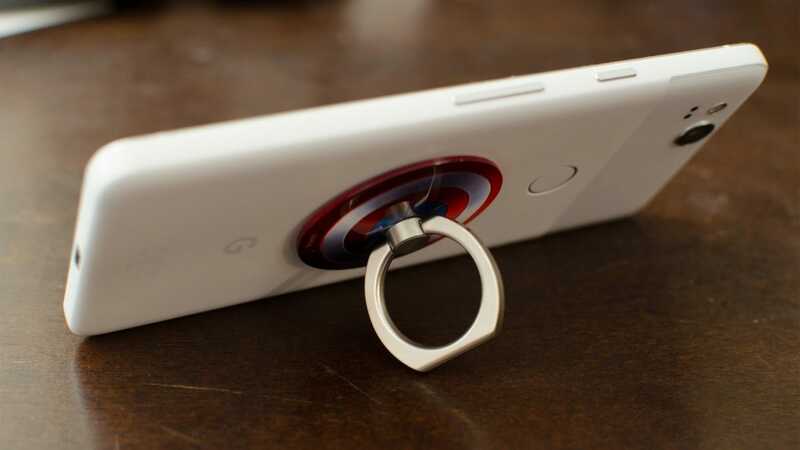 The iRing—manufactured by AAUXX—is a metal ring, attached to the back of your phone (or phone case) with an adhesive pad. 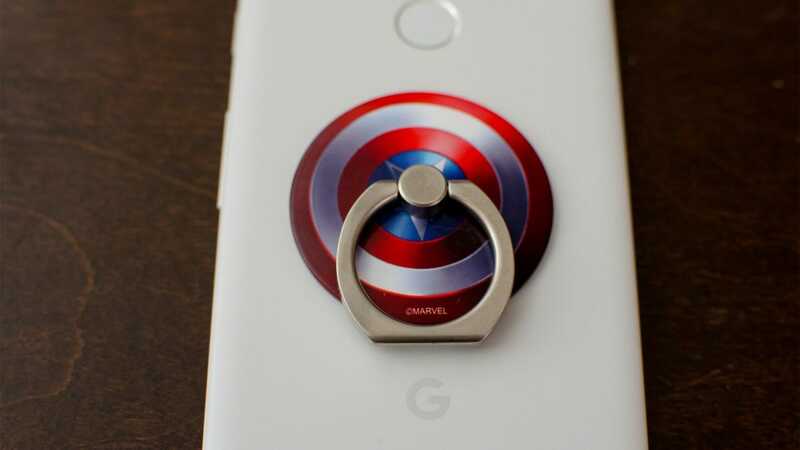 The ring can fold down, flip outwards, and rotate 360 degrees to adapt to however you need to hold your phone. It holds its position well enough that you can extend the ring and use it as a kickstand, which makes us extremely happy. You can get iRings with a variety of bases. There are solid color bases, patterns, and logos, plus a library of licensed bases like this collection of 40th anniversary Star Wars iRings. I tried out a demo unit of a Marvel-branded base. This is solely a cosmetic difference, though. The ring functions the same no matter what you pick, so feel free to express yourself. My last phone was a 5.5″ Pixel XL. This was way too big for my tastes, so when it came time to upgrade, I got the smaller 5″ Pixel 2. It was nicer being able to reach more of my screen without stretching my fingers, but it’s still hard to reach some of the farther corners when holding my phone with one hand. 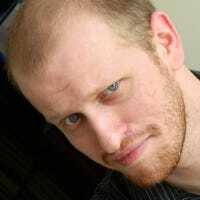 Normally, I hold my phone with my fingers wrapped around the far edge. 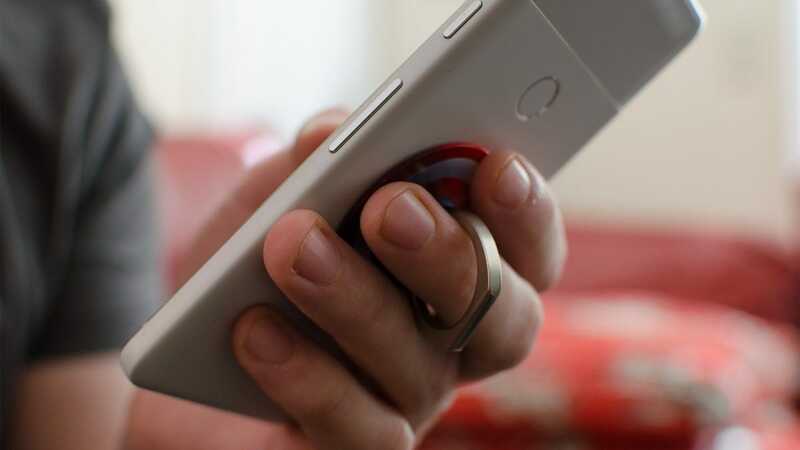 With the iRing, I could simply slide my middle finger through the ring and hold on tight. This gives my thumb almost an extra inch of reach. That doesn’t sound like a lot, but it does mean that I can comfortably reach the top of my screen to pull down the notification shade, then immediately jump to tap the Home button without repositioning my phone. It sounds insignificant, but when a mildly annoying thing occurs dozens or hundreds of times a day, it’s a breath of fresh air to relieve it. The stand out feature, though, is using the iRing as a kickstand. Propping up your phone in landscape mode lets you watch videos without holding your phone up, or keep an eye on notifications while your phone is on your desk. Kickstands are an excellent, useful accessory on its own, but the iRing essentially gives you two accessories for the price of one. While I was initially pleased with the iRing, it seemed like for every problem it solved, it added a newer, slightly less annoying problem. The ring is necessarily stiff so it stays in place, but that makes it a little frustrating to flip it out or rotate when you need to change its position. Due to this, I usually elected to leave it sticking out at an angle that fit my fingers while holding it and also worked as a kickstand. This worked as long as I was setting my phone down on my desk, but as soon as it needed to go into my pocket, the ring starts to get in the way. I also use a magnet dock in my car and the iRing just isn’t compatible with that. It takes up a fair amount of space on the back of my phone so there’s no room for the magnet inside my case to grip the magnetic dock. Other docks that hold your phone by the sides (like this one) might also not fit, if the iRing makes your phone too thick. Some iRing packages include a hook mount that you can stick to your dashboard, but mine did not, and it just doesn’t play well with other dock options. The iRing solves a very minor problem in your life. The bigger the disparity between the size of your hands and the size of your phone, the more useful the iRing becomes. However, if already have any kind of dock, you might have to switch in order to keep docking your phone. There are better options if you’re only interested in the kickstand aspect, but if you just want to get a grip on your phone, this may be worth the $20. It’s important to keep your car clean but you need the right cleaning tools to achieve the desired effect. Here’s a look at the best car cleaning implements out there, and how they’ll help make your car look better than ever.